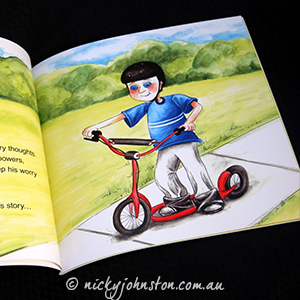 Bayden is an intelligent, confident and courageous boy. Yet his is worry thoughts can be quite unbearable. See how Bayden discovers his superpowers, takes control and is able to live free and happy. Bayden is an intelligent, confident and courageous boy. Yet his worry thoughts can be quite unbearable. 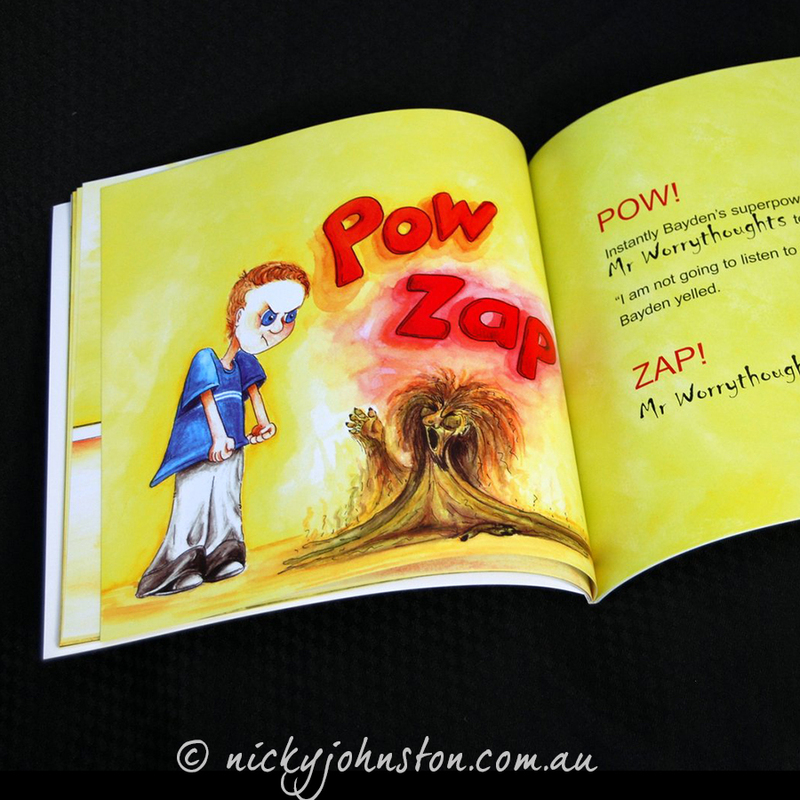 See how Bayden discovers his superpowers, takes control and is able to live free and happy. 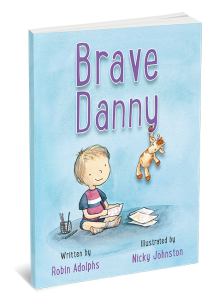 This simple story has been nicely written and illustrated to help encourage children like Bayden manage and overcome their anxiety. 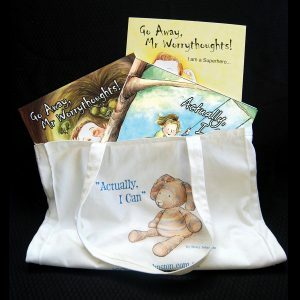 5 reviews for Go Away, Mr Worrythoughts! I purchased “Go Away Mr Worrythoughts” for my then 8 year old. 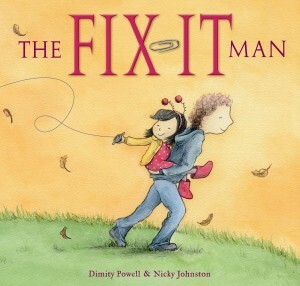 He was having all sorts of issues with worry’s and anxiety and this book really helped. The first few nights we had it he slept with this book! He also showed his psychologist and his teacher. He is well on the road to mastering his worrythoughts, pulling out the book whenever he needs a refresher course. 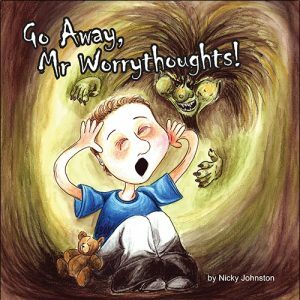 Go Away Mr Worrythoughts has been our go to book for many years now to help the kids deal with any issues. We bought it for our middle child when he was 6 years old and now at 9, he will pull it out to read when he is stressed and wants to talk things over. 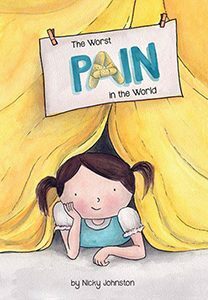 The book is always a gentle, comforting reminder for our kids on how to cope with worries. Thanks Nicky for your beautiful story. Go Away, Mr Worrythoughts! 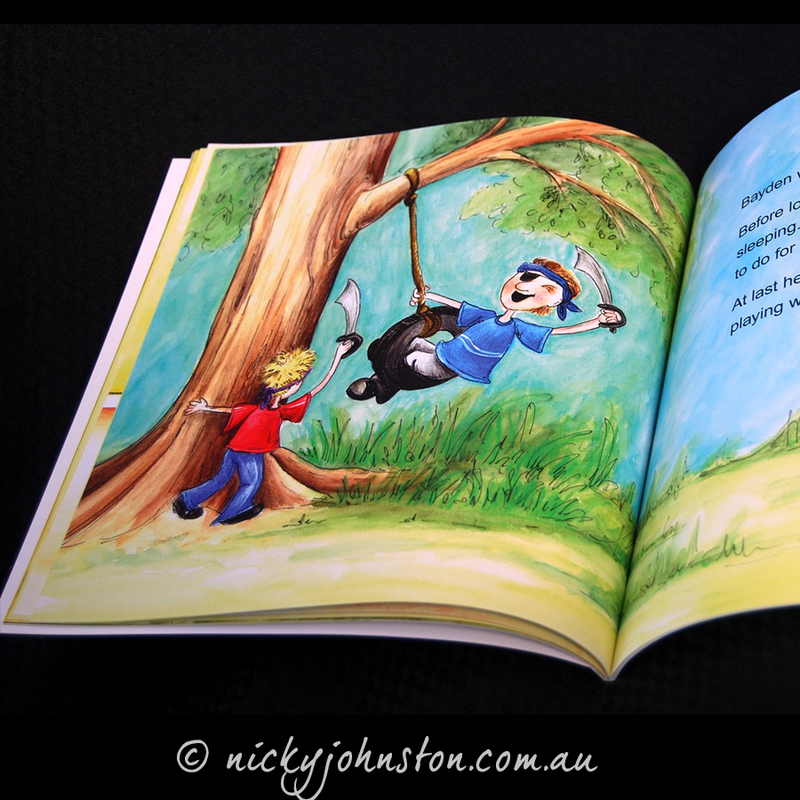 is a well written story that teaches children that scaring away those worrying thoughts is an achievable goal. 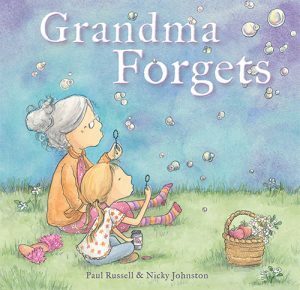 We read this book to our 3 year old, and it is a great reference for us to use with her when she shows any sign of worry or concern. She wants to be like Bayden, strong and confident. 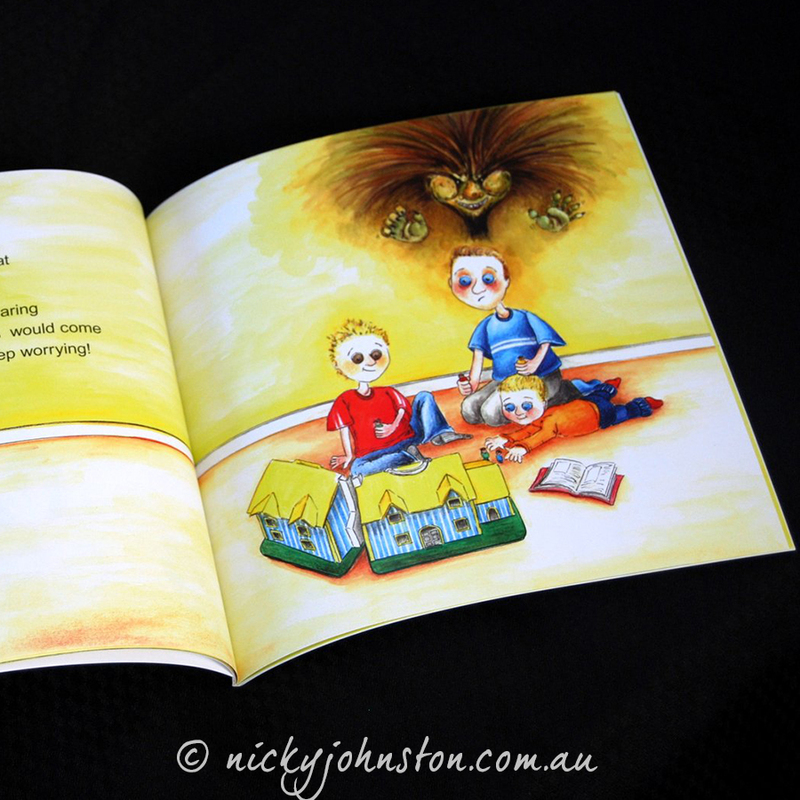 I love that Nicky’s ‘Worry Thoughts’ books have simple, pro-active strategies/activities to tackle any ‘worries’. 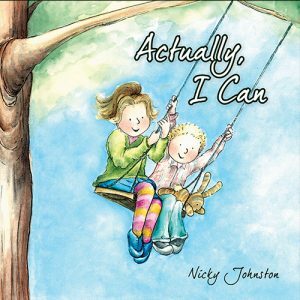 I was blown away when my daughter came home a few weeks in a row telling me she had read Nicky’s books during her library session, & they had completed ‘worry thought’ activities. My daughter gained a greater understanding of how to tackle any challenging situations. 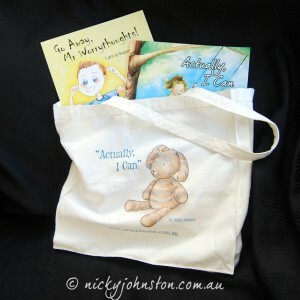 Thank you for your initiative books Nicky!